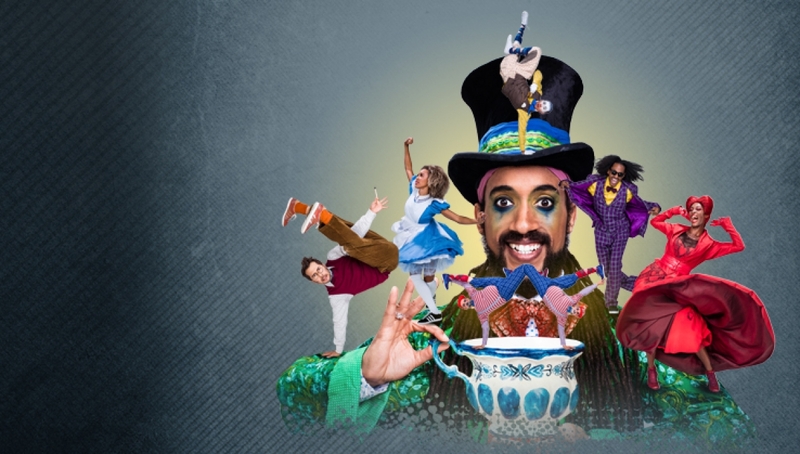 ZooNation’s fun and thought-provoking take on Lewis Carroll’s iconic Alice’s Adventures in Wonderland characters is reimagined for the unique space of the Roundhouse. Artistic Director, Kate Prince, works with musical collaborators Josh Cohen and DJ Walde, using their exuberant and accessible style to explore Lewis Carroll’s original story in 21st century way. We are looking forward to you joining us for the Mad Hatter’s Tea Party. Just to let you know, if you select seats in the aisles or front rows of the Stalls, these are our ‘party seats’. So prepare yourself for the unexpected! The director of the show, Kate Prince is joined by Time to Change, the campaign to change how we all think and act about mental health problems, to discuss perceptions of mental illness and how much we have moved on from the days of Lewis Carroll. Chaired by Kevin O’Hare, Director, The Royal Ballet. This performance can be enjoyed by all ages. However, please be aware that the show explores perceptions of mental illness which may not be fully understood by younger audiences and may require some parental/guardian guidance. Below are some links to help you prepare. Your Reaction: What did you think of The Mad Hatter’s Tea Party? Doors to the venue open at an hour before the show. Please arrive early to collect your tickets and find your seats. Latecomers: Don’t be late for this very important date. But if you are through no fault of your own please be aware we will have to wait for a suitable moment to seat you. If you can’t find seats on your chosen date, you can also book tickets through the Royal Opera House. The performance at 2.30pm on Saturday 14 January will be BSL (British Sign Language) interpreted. To take advantage of this service, please click here and select seats in the Stalls marked ‘BSL’. A relaxed performance will take place on Wednesday 18 Jan, 2:30pm. Click here to book. What is a relaxed performance? Please find a Visual Story to help you prepare for your visit here. A schools matinee will be taking place at 2.30PM on Thursday 12 January. Please call 0300 6789 222 and select option 1, then option 2 for further details. Child Discount of 25% available for children aged 15 and under. Family Discount: £30 off 4 full price tickets for parties of 2 adults and 2 children, or 1 adult and 3 children. Education discount: 10% off full price tickets for groups of 10 or more from educational establishments (limited availability). Please call 0300 6789 222 and select option 1, then option 2 for further details. Tuck into a tasty meal before the show in our restaurant Made Bar & Kitchen. Take a look at our dinner menu and Wonderland children’s menu.